CANAL FRONT HOME ON THE HARRIS CHAIN OF LAKES. 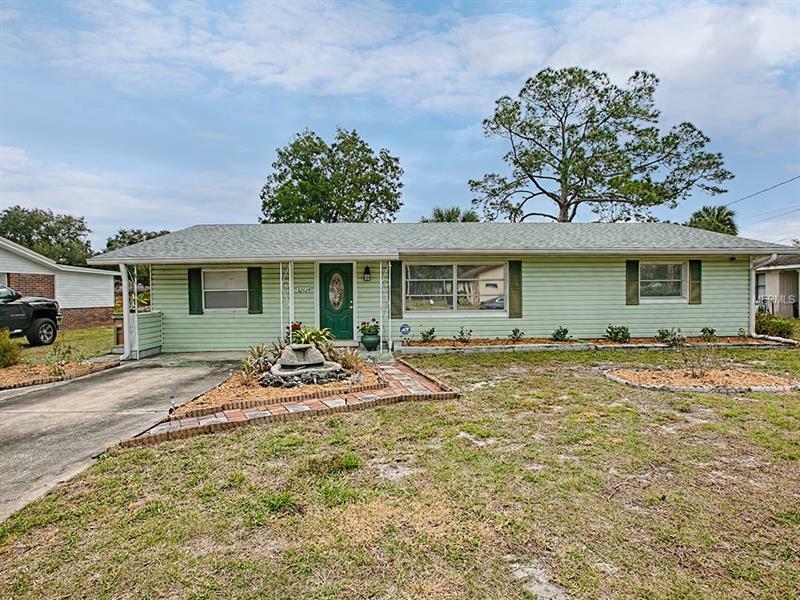 DON'T DREAM OF THE FLORIDA LIFESTYLE COME LIVE IT FOR UNDER 150k.THIS 2 BEDROOM 1 BATHROOM HAS SO MUCH POTENTIAL, A SECOND BATH CAN BE ADDED IF DESIRED. WITH CLOSE TO 1300 SQ FEET YOU WILL BE PRESENTLY SURPRISED AT THE SPACE. WITH A LARGE WELL APPOINTED KITCHEN THAT HAS A VIEW OF THE CANAL, A COMPLETELY RENOVATED BATHROOM TO INCLUDE 2 VANITIES AND SHOWER/TUB COMBO YOU WILL NOT BE DISAPPOINTED. STORAGE IS ABUNDANT OR YOU CAN CONVERT AT LEAST ONE ROOM INTO EITHER AN ADDITIONAL BATH OR BEDROOM. THERE IS A SCREENED IN PORCH OVER LOOKING THE CANAL AND A LARGE BOAT HOUSE FOR YOUR BOAT AND STORAGE. THE SELLER HAS ALSO LEFT 2 LARGE STORAGE SHEDS, AND DID I MENTION NO "HOA". CLOSE TO SHOPPING, DINING AND MEDICAL FACILITIES.